SIMSR Superstars – The Alumni Awards have been instituted in the year 2017 to recognize and honor the excellence and innovation of SIMSR Alumni over the years. After the successful implementation of SIMSR Superstars 2017, the Alumni Relation team had organized SIMSR Superstars 2018. This year the awardees have risen the SIMSR flag still higher by their significant and outstanding contribution in their profession, business and/or to the society. 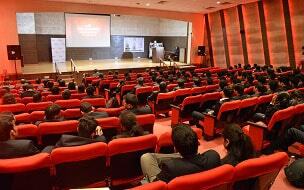 The selection process entailed nominations by batch-mates and by own self. This year the Alumni Relations team had received an overwhelming response of 50 nominations over all in eight diverse categories of which 40 were considered based on eligibility criteria. Needless to say, it was tough time for our jury to select one among the many remarkable nominees, considering their brilliant achievements and expertise. The awardees were felicitated on the occasion of Nostalgia 2018 – SIMSR’s Annual Alumni Meet on 8th of September, 2018 at SIMSR. Comdt. 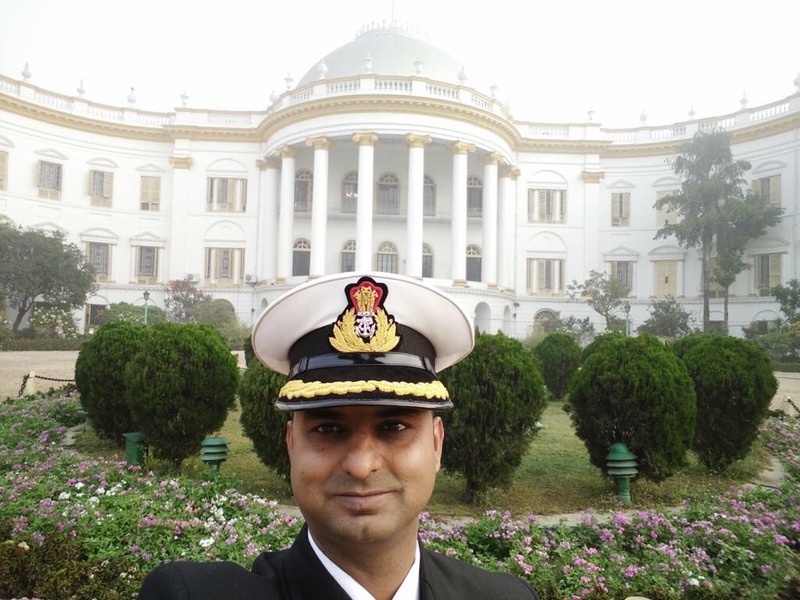 Kamal Bharadwaj is an Indian Coast Guard of Indian Navy. He has served along the length and breadth of the country with various key appointments during his tenure. The most challenging being the Commanding Officer of the Indian Coast Guard Ship ‘Anmol’ and completion of AS & IO course. The Officer proudly wears a Torch (earned on completion of a very tough professional competence course of becoming a Qualified Flying Instructor) and Tri star (Safety proficiency award for more than 3000 hrs. of accident/incident flying) too on his bright whites. He has a vast flying experience of more than 4000 flying hours adding another feather to his cap. The officer has highest military instrument rating of ‘Alpha Master Green’ on the Dornier aircraft. 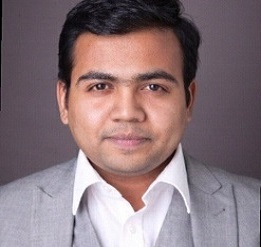 Anuj Bhargava is the CEO of A.B. Associates. He has handled overseas assignments in multiple countries including US, UK, Europe and Africa. He is known to be a plethora of knowledge packed intelligence who epitomizes the 4 E’s of Leadership - Energy, Energizers, Edge and Execute. He has phenomenal amount of know-how on Banking Technology & Architecture. He is known to be specialized in data warehousing and mining, banking, mutual funds, custody and investment banking, stock exchanges, cards - credit & ATM and clearing & settlement. Sanjay Podder is the Managing Director at Accenture since 2005 and presently leads the Accenture Labs. He is the Global R&D Head for Software Engineering. In his 23 years in various global leadership roles in Global Information Technology organization, he has brought innovation to clients, country and society. He has been a sponsor to several joint research initiatives with reputed institutes like the IIT and IISC and has several patents and papers in top academic conferences in Software Engineering and Artificial Intelligence. He is the winner of the Eisenhower Award (2017), Aegis Graham Bell Award (2017) and Accenture Inventor Award (2015, 2016 & 2017). 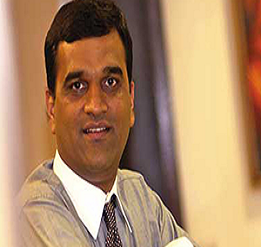 Madhusudan Kela is the Proprietor of MK Ventures. He is one of the most well-known and seasoned investors in Indian Capital Markets, with an extensive experience of over 27 years. 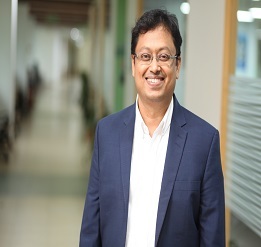 He is currently the promoter of a proprietary investment vehicle started in 2018 – MK VENTURES. He is a board member of Aptech & Reliance Securities. He was a former Chief Investment Strategist at Reliance Capital and a former member of the Capital Market Advisory Board at The Confederation of Indian Industry (CII). He has received several accolades, including the ‘Best Equity Fund Manager’ from the Prime Minister of India. He is actively counseled by the leading industrial houses in India, on matters of strategic importance, and also on their personal investments. Arvind Sharmaa is HR Director at Black & Veatch. He is a seasoned HR Professional with excellent strategic and operational experience in setting up HR departments and formulating policies and practices related to people management. He has successfully formulated and implemented HR processes in Keystone Solutions, Diebold, Ingersoll Rand Security Technologies and Halliburton in India in line with global requirements. He has been awarded the ‘Top 100 HR Minds in India’, at the World HRD Congress 2018, special recognition for Black & Veatch by Randstad for ‘Employer Branding Best Practices – 2018’, ‘Support Function Award’ in Halliburton and ‘Team of the Quarter Award’ in Black & Veatch and ‘Maharashtra Best Employer Brands Award 2018’, for Black & Veatch by World HRD Congress in July 2018. 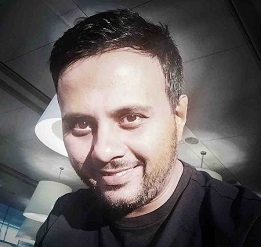 Narayanan Palani is Lead QA Engineer at Lloyds Banking Group. He is a certified ISTQB-ISEB Test Manager, Scrum Master, Prince2, ITIL, HP AIS, Rational Specialist. He has nine years of strong QA experience in Automation, Functional, Performance and Penetration Testing. 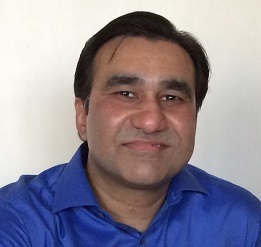 Some of his many publications include ‘Software Automation Testing-Secrets Revealed (Part1)’, an ‘Amazon Bestseller’, ‘Mobile Software Testing’ and ‘Advance Test Strategy’. 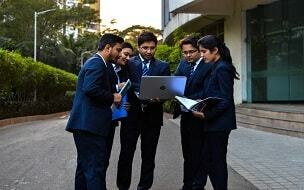 He has numerous research paper under his name and chaired a number of international conferences and seminars. He has been awarded with ‘Esta European Software Testing – Award’ Winner 2017 on Best Use of Technology, ‘Exceptional Talent of UK’ by TechCity UK (2015), ‘Best Client Engagement’ from Polaris FT (2013 and 2014). 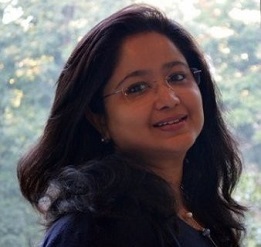 Ritu Gupta is the Marketing Director at Dell India. She has over 20 years of experience across various marketing functions, such as Consumer Insights, Brand Management, Product Management, New Product Development & Innovation across FMCG, Retail Banking & Consumer Durables. Her specializations include New Product Development, Brand & Product Management, Advertising, Market Research, CRM, & leading big marketing teams. She has been awarded ‘Top 100 Most Influential Global Marketing Leaders’ for her contribution to the field of Marketing. She has previously worked with ICICI, Dabur and Whirlpool. Aslam Karmali is the CEO of the Consumer division of Eureka Forbes and member of the core leadership team at Eureka Forbes Limited. As a part of his role he heads the strategic business unit of retail and manages a bouquet of channels like MOR, Regional Retailers, Distributors, E-Com and Rural Network & Partnership. Recently he had led the company's foray into white goods by entering into a highly competitive & growing AC market by extending the international brand Forbes into air conditioners. He also launched an international brand ‘Forbes - Live Positive’ and extended the retail foot print of Eureka Forbes in Middle East, SAARC and Africa. 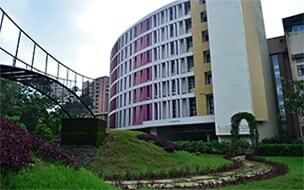 He has previously worked at Bajaj (1991 to 1994) and Philips (1995 to 2006). 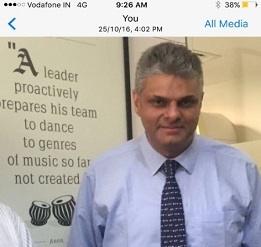 Bhavik Mota is the Head of Trade and Marketing at Maersk India. His specialties include Trade and Product Management, Marketing, Customer Insights, Team and General Management. 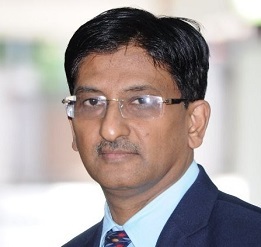 In his stint as Head of Operations - India and Sri Lanka, he was responsible for all the verticals within operations including intermodal, equipment and cost management. 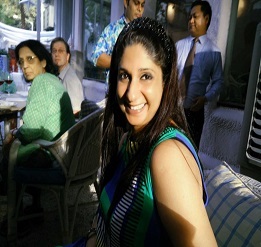 Rupali Mehta is the Founder & Producer of Greenlight Entertainment. She started her own entertainment venture, Greenlight Entertainment, a production house created to produce quality, contemporary content for the advertising, film, television and digital space. She represents a rare breed of women blazing a path in a hitherto men dominated entertainment industry with seminal body of work which were not only path breaking but also critical successes. These include producing ‘Mr. and Mrs. Iyer’ and ‘Rang Rasiya’ and the award winning Jabong ad which won the diversity awards. In 2010-11, under Greenlight’s banner, she conceived, creatively developed and produced ‘Masterclass’ - a special 11 part TV series which was broadcast on the Fox Network’s, Fox History & Entertainment channel. Jamnadas Majethia is the Founder of HatsOff Production. He has an acting career spanning over 20 years. He is known for an amazing range of roles in theatre, television serials and feature films. An actor par excellence, he has also earned a name as a reputed producer of plays, TV serials and now feature films like ‘Khichdi’, ‘Sarabhai Vs. Sarabhai’ and many more. He has been the recipient of the prestigious ‘Gujarat State Award’ for his role in the path-breaking Gujarati film ‘Dariya Chhoru’ and ‘Sangeet Natya Academy Award’ for his play ‘Suryavanshi’ and was also honored with ‘Maharathi of Gujarat Award 2008’. During Sabarmati Festival 2016, he along with his Khichdi Team had been felicitated by Gujarat Chief Minister Anandiben Patel.